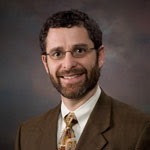 Robert Gonzales, Dean and Professor at Reformed Baptist Seminary, has written a couple of excellent articles on "The Danger of Reformed Traditionalism." In part one he identifies the basic problem of subtly allowing faithfulness to a particular Reformed confession to undermine our commitment to the authority of Scripture. This is a problem I have encountered myself, particularly when dealing with people who have recently come to embrace Reformed theology. They allow their understandable excitement for all things Reformed to overwhelm the Bible in their thinking, and they usually don't see that they are doing it. As a matter of fact, they very often don't really even have a sound understanding of Reformed theology anyway, so that they are actually sifting Scripture through a distortion of Reformed theology. So in reality they are faithful neither to Scripture nor to Reformed theology! the contrary, one of the reasons churches like ours appreciate the Reformed tradition is because of its emphasis upon the Scripture. Along with the Reformers, we continue to affirm the principle of sola Scriptura. 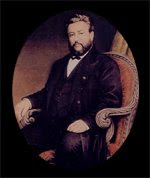 But here is where the danger lies: whereas the Reformers evaluated the faith and practice of the church in the light of Scripture; some Reformed leaders today seem to evaluate the faith and practice of the church in the light of the Reformed tradition, especially in light of their Reformed Confession of Faith. Actually, the danger is really more subtle. Few Reformed pastors today would begin their sermon by asking the congregation to turn to page 250 of Calvin’s Institutes of the Christian Religion or to chapter 14 of the Westminster Confession of Faith. Like the 16th century Reformers, modern Reformed pastors endeavor to take God’s people back to the Scripture. With a growing interest in and appreciation for the Reformed tradition, however, there can be a tendency to look at the Bible only through the lens of Reformed tradition. In other words, there is a real danger of imposing the Reformed tradition as a grid over the Bible and then insisting that every interpretation and application must agree with that tradition. In principle no Reformed pastor or theologian would elevate his tradition to the same level as Scripture. But in practice I believe there can be a very subtle tendency in that direction. I am, nevertheless, sensitive to the danger of creating the impression that our Baptist Confession is incapable of improvement or that the Confession has said everything that needs to be said or that teachings of the Bible must conform in proportion and emphasis to the teaching of our Confession. 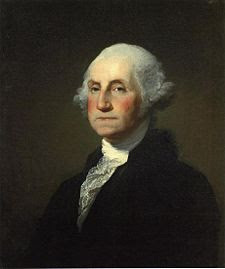 In order to prevent our esteem for the London Baptist Confession in particular or our Reformed heritage in general from subtly weakening our commitment to sola Scriptura, I suggest that (1) we beware of the danger of traditionalism and (2) we be aware of the limitations of our own Baptist Confession. In this post, I’ve tried to alert us to the danger of Reformed traditionalism. In the next post, I hope to provide an example of a limitation (or weakness) in our own 1689 Baptist Confession of Faith. In part two, Gonzales not only cautions us more specifically about not allowing the Baptist Confession of 1689 to overwhelm our commitment to Sola Scriptura, he also suggests some changes to the confession in the process, even though he knows he may be sticking his neck out a bit. 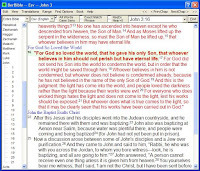 The three improvements Gonzales goes on to suggest are: 1) "updating the language of the confession," 2) "adding theological affirmations to the confession" (such as a clear statement on the Biblical roles of men and women), and 3) "making modest refinements to some doctrinal formulae" (such as "fine-tuning" some of the confession's statements about covenant theology). I highly recommend reading both of these articles, and I am grateful to Robert Gonzales for having written them. Let me know what you think. Publicly Praying Written Prayers: Good or Bad? First, let me say this loudly and clearly: I like spontaneous prayer. All prayer that originates from us is, in a sense, spontaneous. That being said, there are several reasons why I like to think about prayers that I am going to pray in public worship services early and write them down. I get a chance to reflect on the words I use and see whether or not they are true and make sense. Sometimes my spontaneity breeds unclear or untrue statements. 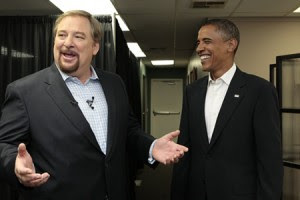 Leading people in prayer is too important a job to be ambiguous or incorrect. After all, we’re not a group of individuals all praying different things in public prayer, we should be united around one prayer when we’re together. I get a chance to make sure I’m purposeful in the prayer. Prayer often plays different roles in a service and I want to make sure this prayer does what it was intended to do. If I’m supposed to pray and thank God at communion, I want to make sure I’m really doing that. I get a chance to soak in this prayer and make it more real than most things I could think up on the spot. Thinking about my prayers and writing them down before the service gives me a chance to let my heart, mind, will and imagination all work together to pray instead of quickly drawing from only one or two of them in spontaneous public praying. Perhaps readers of this blog will want to go and weigh in here. The following video contains an interview with Voddie Baucham on CNN. I am thankful for his faithfulness to Scripture and his willingness to take a stand. I also encourage you to check out a couple of articles at Voddie's blog, where he addresses the matter of whether or not we Evangelicals should really be pleased with McCain's selection of Sarah Palin as a Vice Presidential candidate. I encourage you to read the rest of the article to find out more about why Voddie thinks this way. You may just agree with him, as I do. Then you may want to read the second article, which follows after not only the first article (and some apparent fallout from it?) but also after the above linked CNN appearance. In this second article, Voddie continues to make his typically Scriptural and intellectually rigorous arguments as he discusses the recent debate among Complementarians regarding the Palin candidacy. As for me, I am in agreement with Voddie's position, and I want to thank him for taking the stand he has taken. Be encouraged, brother, you are not alone. 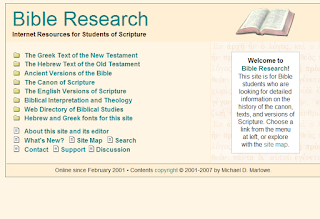 Perhaps some of the blog's readers have already visited Michael Marlowe's Bible Research website from the link on this page, but if you haven't already checked it out, I highly recommend it. Marlowe has a wealth of articles and information at the site, covering areas such as study of the Greek New testament, the Hebrew Old Testament, ancient Bible versions, the canon of Scripture, the history and methodology of English Bible versions, and Biblical interpretation and theology. Marlowe also has a helpful web directory of other sites useful for Bible study. And he has written a number of excellent articles himself, including some very good reviews of various English Bible translations. 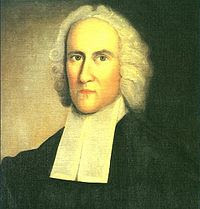 He is Reformed theologically and holds to the Westminster Confession of Faith. Give the site a look and let me know what you think. 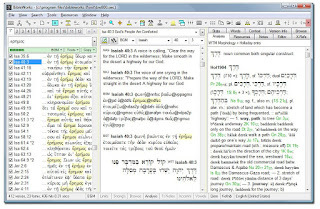 I have stumbled upon an interesting new Bible study software program called ScriptureDirect, which is dedicated to study of the New Testament. The makers of this software have also made a fun little movie called Back to the Source, which can be viewed or downloaded for free. The movie takes you on a journey with Phil, a detective who is trying to figure out the meaning of a small piece of text that was left to a woman by a deceased relative. Although she doesn't understand what the text is or where it came from, she really wants to know what it means because it refers to a mysterious treasure. As it turns out, the text comes from the New Testament and, as Phil tries to find out the meaning, he discovers four keys to interpretation of the New Testament. First of all I should mention a new and innovative program called ScriptureDirect. Bennie Wolvaardt, the developer, worked alongside Johannes Louw himself, who dedicated years of his life to this project after his retirement as professor. The interlinear translation has been prepared specifically for this program, and both the links between the Greek and English and the selection of the most likely meaning from Louw-Nida for each word of the NT have been done one by one. Similarly, it has been proofread word by word. The program does not include a library of books integrated by a search engine. Rather, it is very specific tool for diving into the original meaning of the Greek New Testament. This can be done starting from the English text (typing practice will yield five different semantic domains — i.e., 41.28, 42.3, 42.10, 68.20 and 90.45), the list of semantic domains itself [e.g., 10. Kinship Terms D. Kinship Relations Based Upon Marriage (10.53-10.61)] or the Greek text itself (φυλακή). It is very useful when you follow the designed workflow, but it does not offer yet the ability to make complex command line or dialog searches. Are there any blog readers who can tell us more about this software? I would like to hear your comments. 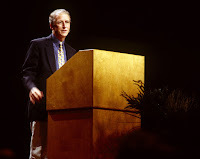 Back in June, John Piper wrote an interesting article at the Desiring God Blog. The article was called 20 Reasons I Don't Take Potshots at Fundamentalists. I was intrigued by the title and got to thinking that, in too many Evangelical circles, those "fundamentalists" have become the whipping boys from which most appear to want to distance themselves. In fact, in the wider culture and in the media, the term "fundamentalist" has even been taken so negatively as to be applied to the most extreme and even cruel elements of any religious group. How many of us, after all, have not heard the media refer to those wacky terrorists who want to blow people up as "Islamic Fundamentalists." But there was a time when the term referred to those who were the most faithful to Scripture and who refused to allow their Christian faith to be watered down or to succumb to the twin threats of modernity and relativism -- and now post-modernity. Anyway, Piper's article reminded me that, although there have been some extreme types who have given the rest a bad name, there are still many good openly professing fundamentalists out there. Here are the twenty reasons that Piper has given for his unwillingness to "take postshots" at fundamentalists. One of those things that kind of makes you go, "Hmmmm...."
I first saw this video at the Contemporary Calvinist blog, and I liked it so much that I wanted to share it with my readers as well. In it Voddie Baucham discusses the need to ask the right question about the problem of evil. He had me almost shouting, "Amen!"